Many families with a loved one in prison or jail experience economic hardship, especially if the incarcerated person was a primary wage-earner of the household. You have to grieve the loss of that person in your day-to-day life, as well as deal with any extra struggles his or her loss brings. In addition, you have to learn to navigate the maze of visiting the person in jail. As if this weren’t enough, families with an incarcerated loved one experience social stigmas in their community because their loved one is in jail. Though it’s tough, you can learn to create a new life for yourself while your loved one is gone. One recent U.S.-based analysis of grief and coping among “non-offending siblings,” as the literature often refers to them, brands them as the “most often overlooked” family members of adjudicated youth. You can also read more about how children are affected by an incarcerated sibling here and here! Provide children with opportunities to share and discuss their feelings. This lets your child know that they aren’t being ignored and that they can voice their feelings and concerns freely without judgement. If they want to, allow them to keep in contact with their sibling. This will help them normalize the situation instead of seeing it as a secret burden. Not only will they feel like they are still connected to their sibling, it will help the incarcerated sibling feels like they aren’t lost in the prison world. Sometimes spouses lose a co-parent and find themselves raising children alone, so it goes without saying that the impact of having a parent incarcerated on the children is enormous. Children who lose their parents to jail are at a greater risk of being incarcerated in the future. Show respect for an incarcerated parent. Regardless of your personal feelings toward the incarcerated parent, it’s best to act and speak respectfully in front of the children. Insulting or criticizing the parent will only add to their stress and confusion. Instead of condemning the parent, speak honestly about how he or she made some wrong choices and is now facing the consequences. Use this example to reinforce the importance of making good decisions. Respect your children’s feelings. This means being honest with the children about where their parent is. You’re not protecting the children by telling them their parent is away on a business trip, in the hospital, or giving them some other story. If they find out the truth from another source (a careless neighbor, a newspaper article, a friend, etc. ), they could be very angry and have trouble ever trusting you again. Explain to them in words appropriate to their age explain that their parent made some mistakes and is now paying the consequences and that just because the parent did something wrong, it doesn’t mean that he or she no longer cares about the family. If they want to, take your children to visit their parent in prison. First, prepare the children for what prison might be like—going through security clearance, sitting in a visiting room, seeing their parent in prison clothes, etc. As with phone calls, you might help the children come up with some ideas of what to talk about. And be prepared to help them through the pain of saying good-bye to their parent after the visit is over. Explore prison programs to help inmates build relationships with their children. In some prisons, parents can send their children a tape recording of themselves reading a children’s book. Some prisons allow special camps where children come into prison for a day of activities with their parents. Find a support group. Find a friend, family member, or support group to help you through this difficult time. Remember that you, not just the incarcerated individual, are affected by this and need care and support as well. You are not alone. There are wonderful programs and resources to help you meet the needs of your children—as well as some of your own. Keeping a relationship together under normal circumstances is hard work. Keeping a relationship together when your partner is incarcerated is harder. 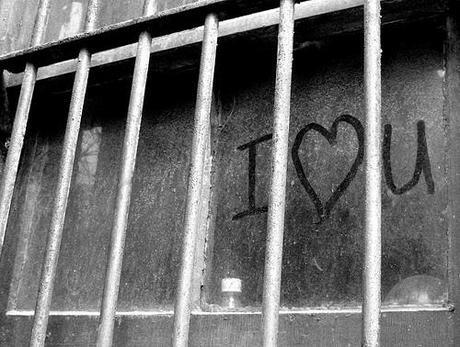 Sometimes an incarcerated loved one may act out in various ways during contact with you. They may act manipulative or controlling but remind yourself that your loved one may simply be afraid of losing you and is feeling disconnected from their former life. Remember that your loved one is responsible for their choices in life, choices that led them to prison or jail, not you. There can also be many stigma’s associated with your partner’s prison sentence; a stigma that might attach itself to you, if you let it. Decide what support you can provide. Make decisions early on as to how much emotional support you can provide your loved one in jail. How often are you willing to visit? How many times per week or month do you plan on talking via telephone? How often do you plan on writing letters? Set these benchmarks ahead of time and stick to your guns. Don’t commit more than you are capable of providing. Take time for yourself. Use this time of separation from your spouse to take care of yourself physically, emotionally, and spiritually. Stay Connected. Staying connected as a family is essential and facilitates your partner’s reintegration in to the family. If your spouse is incarcerated, write your spouse letters. Visit your spouse in prison if you can. Be open with your children about where your spouse is and why, but also on why you haven‘t given up on them yet. If your spouse is waiting for you on the outside, write letters. Make phone calls. If you have a job, send money or buy gifts. Move forward. Forgiving your partner for the burden they’ve left you with is difficult. You need to have a healthy relationship. If you have been clean during this time apart, don’t allow your home to become a place where drugs and alcohol are readily available. It doesn’t matter that you spent countless hours mentoring them because they may not understand the rules the way you want them to be understood. You may have to explain that yes, driving in a parking lot is still driving without a license! Even though they are kids they make the choice to commit criminal acts and as a result, they should be held accountable. Being involved in the judicial system, even juvenile court, is traumatic, expensive, emotionally draining, sometimes unfair and unpredictable. The first thing you should do, after finding a good lawyer, is to research your state’s laws concerning juveniles and how juvenile court works. It is the duty of the police and the judicial system to enforce the law but how that law is enforced and what the outcome will be for your child is dependent on the judge, jurisdiction, the state you live in, and the severity of the offense. It is especially important that you learn the rights of your child. Research the NOLO website to find out what their rights are and what court procedures will be like. Find a support group. If your child gets arrested, you need support. Parenting a child who has been arrested can be lonely. Some parents feel embarrassed and withdraw from supportive social circles. It’s helpful to talk with other parents who are going through the same experiences. Parenting adolescents, especially those prone to risk-taking behavior can be confusing and stressful. Centerforce1.org provides a network of organizations, support groups, and resources to parents who are struggling with teen issues, juvenile arrest, juvenile incarceration, or reintegration after an incarcerated child is released. Find a network of care for your family. If your child goes to court and the case goes to trial, you could be in trial for weeks or months. That means you as a parent are not available to any other children, a spouse, or extended family. You need to set up a support system for your family while you’re involved with your child’s court case. Talk to a counselor or therapist. If your child did in fact commit the crime, you will experience grief and trauma even if you can’t quite identify the emotions associated with it. Part of the grief stems from a change of perspective. Your child committed a crime and you have to come to terms with that. You also have to realize that your child isn’t who you thought he/she was and find a way to see your child as an individual with a unique set of values and characteristics.